The Atlanta Falcons went into Sunday’s game in Charlotte against the Carolina Panthers with nothing to play for, and a huge reason for being out of postseason contention was a lack of defense in key spots. They came within a fourth-quarter stop in tight losses against the New Orleans Saints, Cincinnati Bengals and Dallas Cowboys, and that’s the main culprit for not having playoff football. But in their 24-10 win over Carolina, the defense showed flashes of what many people expected it to do before the season started. 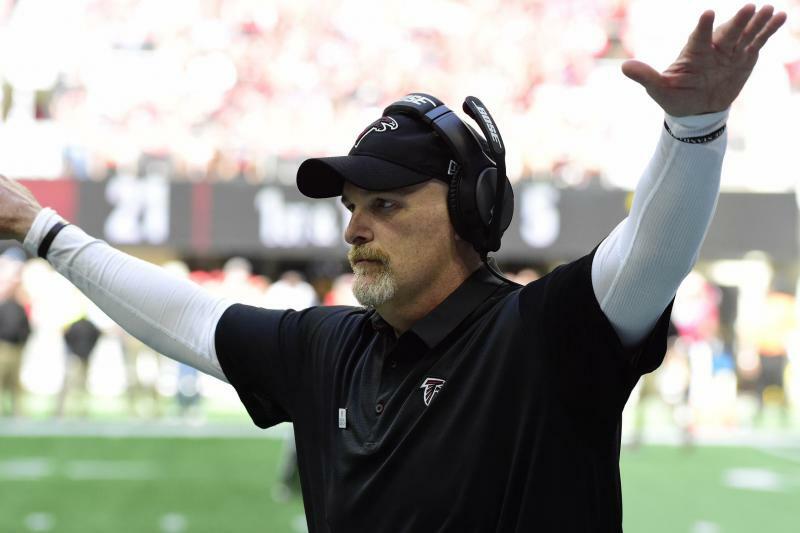 As Falcons head coach Dan Quinn loves to say, they were fast, physical, and got Atlanta over the finish line against a divisional rival. The Falcons came into Sunday’s game having only forced 14 turnovers, putting them in a tie for 25th in the league. But they picked off first-time starter Taylor Heinicke three times, all with the Panthers driving for a score, and forced another fumble. The first one came with Carolina on the Atlanta 4-yard line with under a minute remaining in the first half and the game tied at 10-10. Jack Crawford was in the right place at the right time to pick off Heinicke’s pass to save Atlanta crucial points going into the locker room. The second interception came with the Panthers driving to cut Atlanta’s 24-10 lead in the third quarter, with the ball on the Falcons’ 22-yard line. Brian Poole picked off the pass to preserve the lead and let the offense go back to work. And finally, with Carolina clinging to their last gasp chance at a win down 24-10 with less than two minutes remaining, Isaiah Oliver iced the game with an interception in the corner of the end zone. Beyond the turnovers, the Falcons held the Panthers to three points over their final 11 possessions. Deion Jones was all over the field with 14 tackles and a forced fumble, Takkarist McKinley had four quarterback hits on Heinicke, and Bruce Irvin had a clutch sack on a fourth-and-10 during the fourth quarter. Even if it came against an inexperienced quarterback, these were the plays that the Falcons had been looking for all season in clutch spots. It was a total team effort from the defense after the first drive to smother any chance the Panthers had of climbing back into the game. Falcons quarterback Matt Ryan and the offense weren’t at their top form they showed against Arizona, but they didn’t have to be with how well the defense played. On the day, the Panthers almost doubled up the Falcons in first downs at a 29-15 margin, won the time of possession by over 16 minutes, and had 436 yards of offense. But while the Panthers dominated statistically, Atlanta made the critical bend-but-don’t-break plays that helped them preserve their sixth win of the season. And if they can get their defense to be that opportunistic next season, the Falcons might not find themselves already eliminated at this time in 2019. QB Matt Ryan threw for 239 yards and three touchdowns for a 126.9 rating. He now has 293 touchdown passes and moved past Johnny Unitas and Warren Moon for 13th place on the all-time list. He needs two more to exceed Carson Palmer. Ryan has thrown for 33 touchdowns, his second-most in a single season. WR Julio Jones played through a hip injury and caught four passes for 28 yards and one touchdown. Jones was receiving treatment throughout the game for the injury but is expected to play in the season finale. WR Calvin Ridley caught a 75-yard touchdown pass against Carolina. It was his ninth touchdown and ties him with Junior Miller (1980) for the most receiving touchdowns by a rookie in team history. He finished the day with three receptions for 90 yards. LB Deion Jones led the team with 14 tackles (eight solo) and one forced fumble. Only two other players (Darius Leonard of the Indianapolis Colts and Anthony Hitchens of the Kansas City Chiefs) have two games with 14-plus tackles. TE Austin Hooper came back after missing a game with a knee injury to catch two passes for 36 yards. Hooper was chosen as an alternate to the Pro Bowl. DE Bruce Irvin is getting more opportunities. He had a sack on Sunday and has 3.5 sacks since joining the Falcons, all in the last three games. Only Khalil Mack has more sacks during the month of December since 2016.